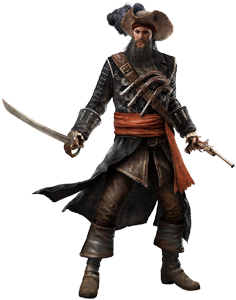 Captain Blackbeard, one of the supportive (for the most part) characters in Assassin’s Creed IV: Black Flag is based on Edward Thatch (1680-1718) , a real Britsh Pirate. During the adventure, Blackbeard gets killed. 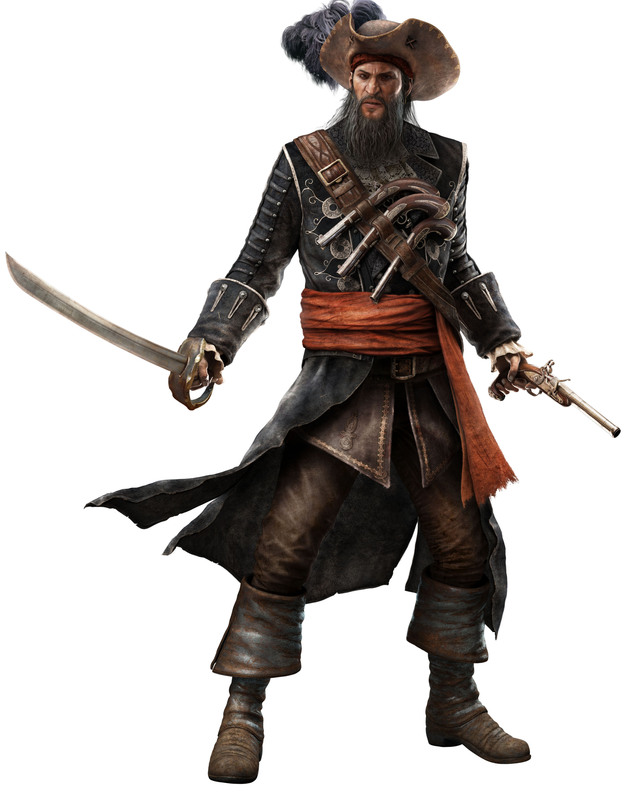 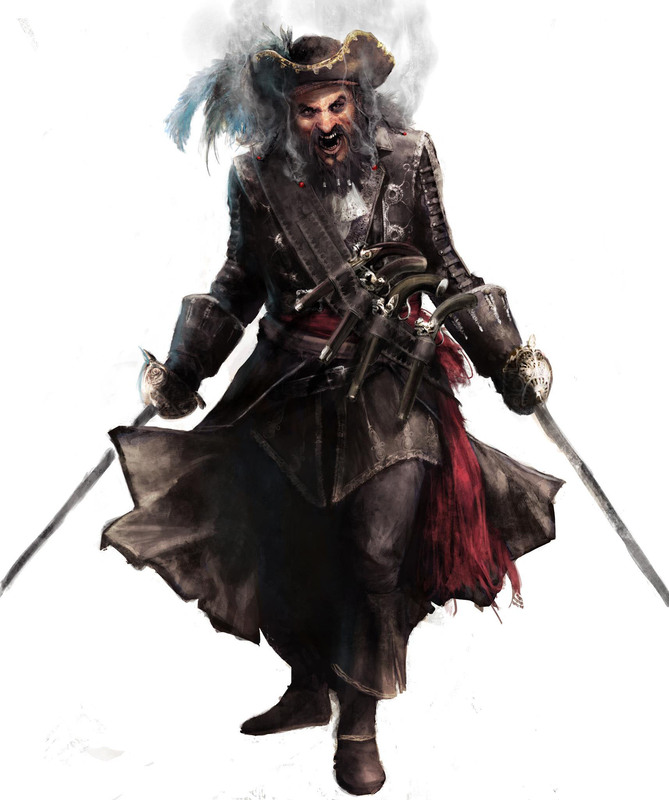 Seriously, this is one of the most badass pirate designs ever for a video game, more of that please in the future! 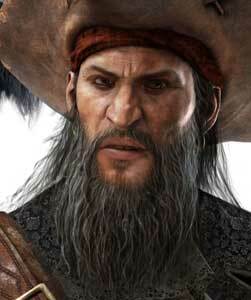 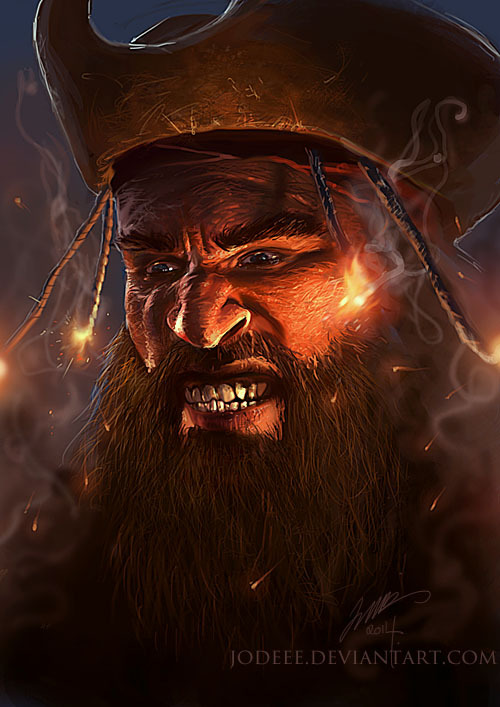 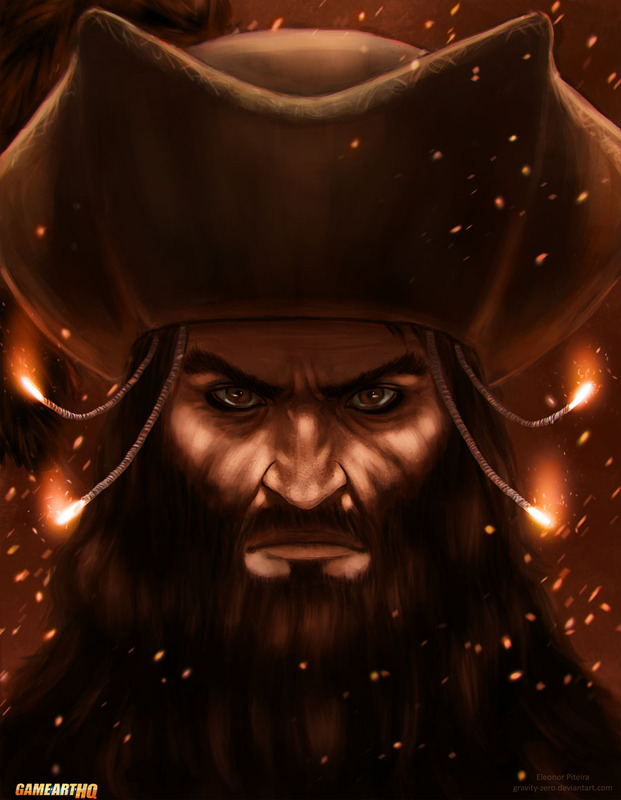 Blackbeard became a playable character through a later released DLC.